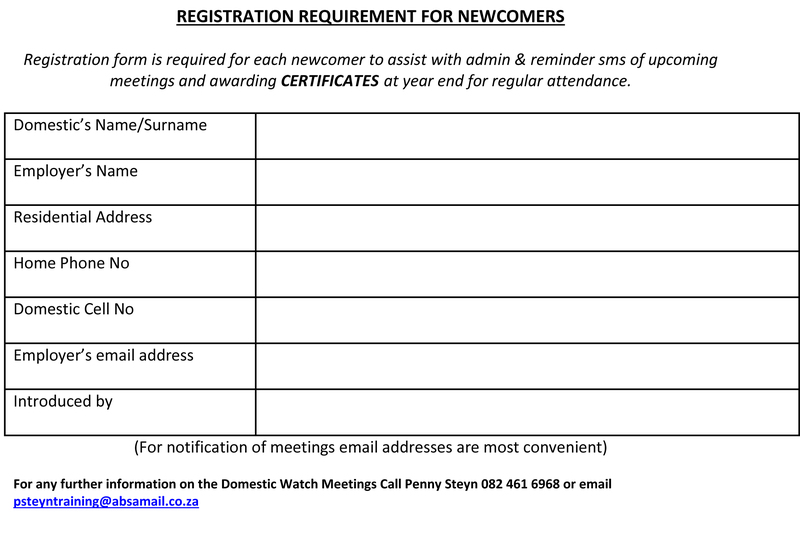 Did you know there is a Bryanston Domestic Watch meeting every 2nd last Thursday of the month? All meetings are held at the St Michael’s Church, 73 Mount Street, Cnr Bryanston Drive on the 2nd last Thursday at 11h30. Each domestic worker should bring R40 to participate. Most people forget that in order to catch those that make a choice to do crime we can assist the police by protecting the evidence, we may not know what they want but every inch of a crime scene is important to the police forensics team. This includes the road where the crime took place, the gated community or just the home and garden where the crime occurred. I have an intensely interesting in-depth DVD that was filmed when a highly skilled and professional police officer in the National SAPS presented this topic 7 years ago. I will be sharing this DVD with the attendees. 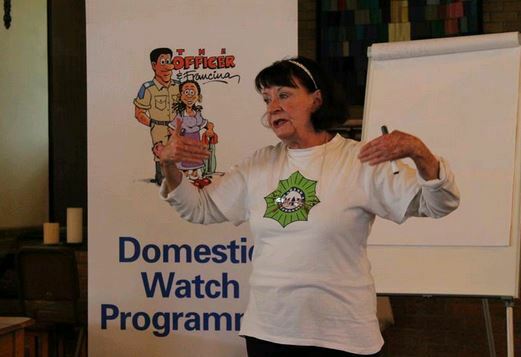 Penny Steyn is the co-coordinator, writer and presenter of crime prevention lessons. Domestic Watch is not a “course” that begins and ends. It is an ongoing process of lessons teaching crime prevention and keeping abreast of crime trends and how to pass on information. Each attendee gets a written lesson, currently 68 lessons written, and no repeats in 1 year. Employers encouraged to read lessons to staff and get feedback to reinforce what they learned. Employers, Domestics and Gardeners are all welcomed. The Police will attend whenever possible to add valuable information. Any voluntary assistance will be gratefully accepted. The meeting starts promptly at 11.30, Registration 11h00. Lesson duration 1 hour. ← Bryanston, let’s help Xenophobia victims with blankets!